I am not a vegetarian, I enjoy eating meat. At the same time vegetarian dishes are no problem at all for me. When it comes to vegetarian or vegan food, I am not ideological or political. I do believe in organic food, species-appropriate care and feeding of animals, fair trade as well as fair treatment of workers. I also believe that high quality is worth its price. In terms of food, I am first and foremost: A gourmet. And boy, did that dish appeal to my gourmet senses. Quality of the ingredients is the key to this dish. 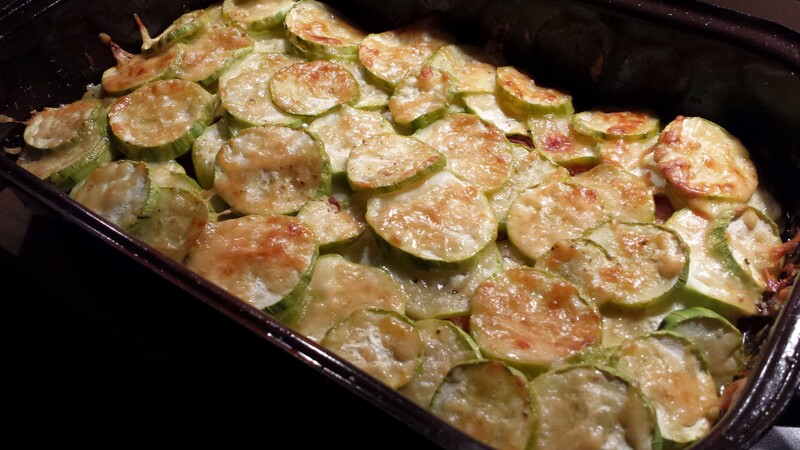 Tasteful, ripe tomatoes and fresh zucchini are a must. The olives can make all the difference. Forget about that black painted tasteless mushy olives. You will want firm and juicy dark olives. 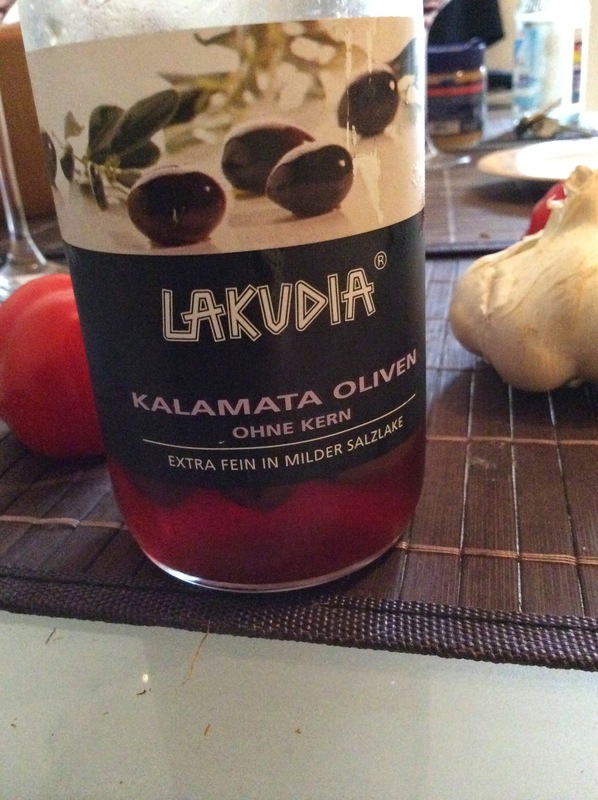 A good choice are black Kalamata olives from Greece. It will boost the taste to new heights. Finally, the taste will benefit from a fruity and not so spicy olive oil. 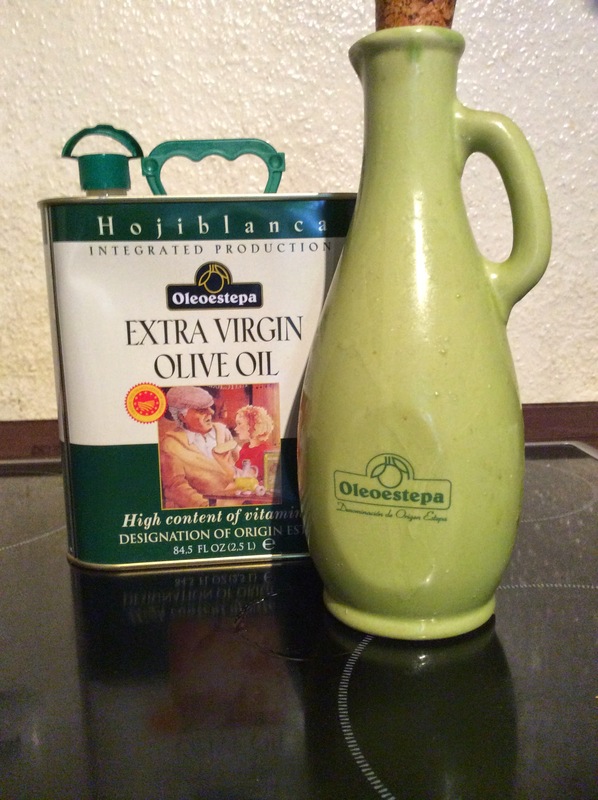 I am using Oleoestepa from Spain, which is one of the best olive oils in the world. You do not have to go that far, but you sure will want to avoid using the cheapest option in the supermarket. Maybe there is a delicatessen store close by? It is fun receiving some good advice about olive oil, it will certainly be worth a try.